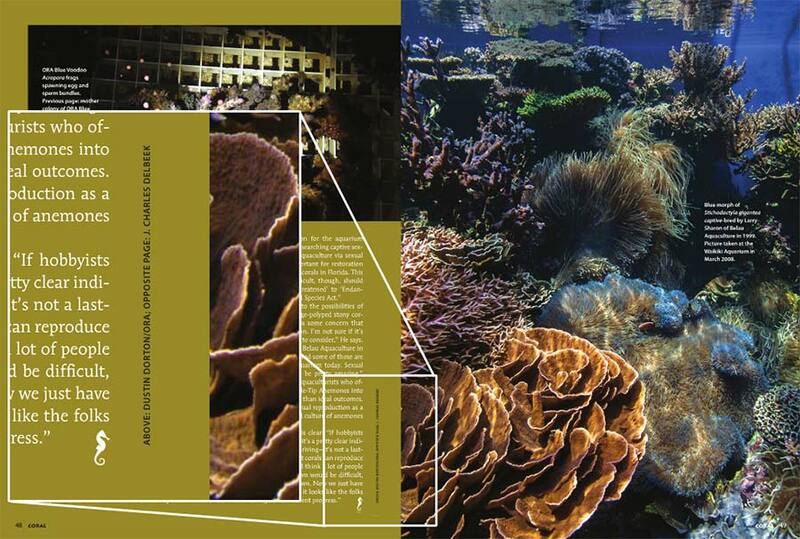 Article attribution as it appears in CORAL Magazine print and digital editions. We regret a slight error in attribution (as seen above) on page 47 of the November/December 2013 issue of CORAL Magazine. 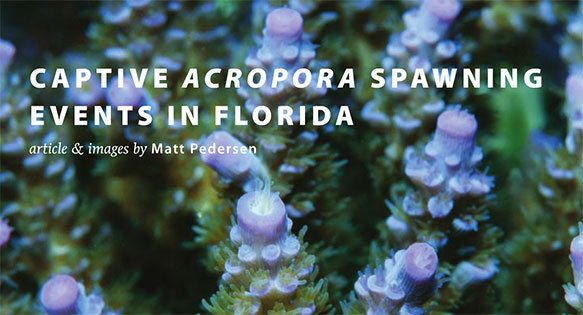 Matt Pedersen’s article, “Captive Acropora Spawning Events in Florida”, which stems from an interview with Dustin Dorton of ORA, included the citation that both article and images were by CORAL Sr. Editor and author Matt Pedersen. We would like to clarify that none of the images in the article are in fact taken by Pedersen as the byline might suggest, but are the 3rd party works as cited correctly in the photo credits of each page. The images on pages 47 and 48 are courtesy of Dustin Dorton / ORA. The image on page 49, depicting Larry Sharon’s captive-bred Stichodactyla gigantea “Blue”, was provided by J. Charles Delbeek. While the attribution may have implied Pedersen shot all the images in this article, all images were correctly credited to the appropriate photographers. While this may have simply gone unnoticed (we certainly didn’t catch it in the editorial review process), we wanted to point out our error as we firmly believe in credit where it is due. We apologize to both Dorton and Delbeek for any confusion this byline may have caused, as we are very grateful for the contributions of Dorton, Delbeek, and ORA make to CORAL Magazine. Thank you both again for providing such fantastic images to help enrich this story of captive cnidarian spawning.